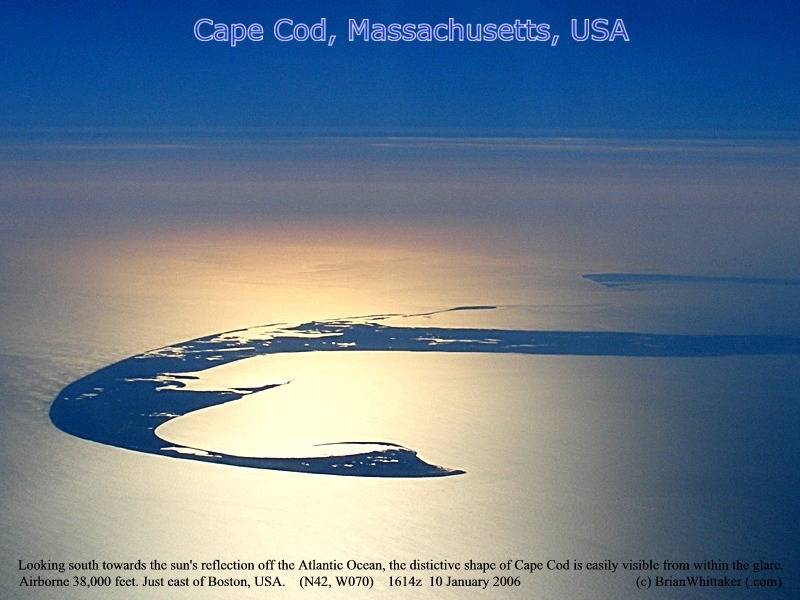 The very familiar silhouette of Cape Cod, highlighted by the sun's glare being reflected off the Atlantic Ocean. 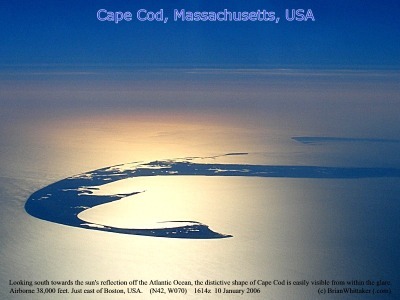 The aerial photo was taken looking south from 38,000 feet from just east of Boston, Massachusetts, USA. Interestingly, this feature is the southern most giant terminal moraine from the last ancient Ice Age. Have a look at this interactive map [Map] near N42, W070. January 10,2006. (posted 28March 2006). [800x600].